1.1.1 Would you like to combine your trip to Cambodia with Vietnam, Burma, Thailand or other destinations? 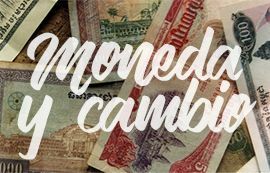 1.2 What to visit in Cambodia? Cambodia is not popular to travelers. Beyond the famous Angkor, there is so many unknown things, that this small country could make you surprised. We want to show you the authenticity of Cambodia. A country with a mysterious history, incredible architecture that will surely make you fall in love. We want your trip to Cambodia to be unique. That is why we offer you all our tailor-made and private trips. All our trips show final prices without surprises, which is included with all the services during the trip. In case you want to change any detail, you just have to consult us and we will make it possible. Would you like to combine your trip to Cambodia with Vietnam, Burma, Thailand or other destinations? Take the opportunity to get to know Cambodia on a private trip and combine it with other neighboring countries. From One More Destination’s ideas, we recommend combining it with Vietnam or Thailand since there are so many direct air links. Anyway, when creating your trip, you could consider the trip to suit to your needs. A combination of very different cultures that make the trip a much more complete experience. Tell us how you want it and we’ll take care of everything. What to visit in Cambodia? Cambodia for many people is an unknown country until the second half of the 20th century due to certain political conflicts. From there, the impressive archaeological site of Angkor was a gap between the wonders of the world and there started to welcome visitors from around the world. It is true that Angkor is the most representative place in the country, present even in its national flag. Beside Angkor, Cambodia has many other charming places to discover that we are willing to show you. Siem Reap is the gateway to approach one of the wonders of the world, the spectacular Angkor complex. Former fishing town on the shores of Lake Tonle Sap, has developed an incredible tourist infrastructure to offer you all the facilities on your trip to Cambodia. With all this development, Siem Reap still remains the tradition of hundred years ago and is a quiet place with an interesting bustle at dusk. The vibrant and bustling Phnom Penh, the capital of Cambodia, stretches along the Tonlé Sap and Mekong rivers. A beautiful contrast of modernity and tradition where traditional Cambodian markets are mixed between large shopping centers and large avenues contrast with the Royal Palace, the city center. If you are curious about the most recent history of Cambodia, Phnom Penh hosts the Extermination Camps of Choeung Ek and the Tuol Sleng Museum, the sad mark of the reign of terror that the nation suffered under the regime of the Khmer Rouge. There is no word that can describe the beauty and greatness of Angkor. You should admire and feel it by yourself. Temples and stupas were built from the eighth century by talented architects and craftsmen during the greatest splendor of the Khmer Empire time. An architectural complex with more than 600 buildings distributed in a huge forest area of 45 km². In front of such an impressive extension, it is recommended to make a selection of the most important points, in which Angkor Thom, Angkor Wat, Bayon and Ta Prohm are some of them. 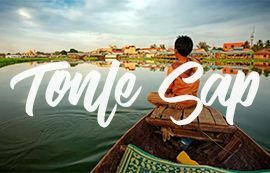 Tonle Sap is the most important lake in Cambodia and the largest expanse of fresh water in Southeast Asia. The lake changes amazingly in the different seasons of the year. From November to May, Tonle Sap is practically at low water level, while during the rainy season the lake becomes a living spectacle where local fishermen live and work in floating villages taking advantage of the richness that the lake offers. Take the opportunity to enjoy a boat cruise through Tonle Sap during your stay in Siem Reap. Cambodia is a small country with a great history that there are so many other interesting things of this country, not only Khmer Empire and its spectacular Angkor temples. We want to make sure you do not overlook any of the featured places. Beside Siem Reap and the Angkor complex, other attractions await you in Cambodia. Give us the opportunity to organize the trip of your dreams to Cambodia. Along the Mekong River, this small and peaceful province is located in the east of Cambodia and shows a romantic and peaceful landscape. 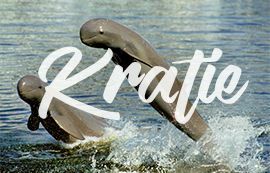 The most outstanding point of Kratie is the opportunity of sighting a unique species of mammal, freshwater dolphin Irrawaddy. A species in danger of extinction only inhabits this province. In addition, Kratie was an important place during the French colonization, so it is easy to recognize the remains of its colonial architecture that, today, are kept in very good condition. Battambang is often overlooked when it comes to organizing a trip to Cambodia. The second largest city in the country has no beach, no remains of the Khmer empire or the hustle and bustle of a large Asian city. On the other side of the scale we have a quiet and welcoming city. A city with 100% local markets is awaiting to being discovered the authentic Cambodians life. 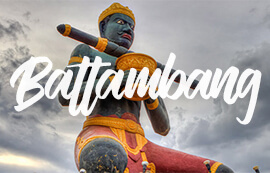 Boutique hotels, art galleries and quirky restaurants and cafés invite you to stop along the way and meet Battambang. 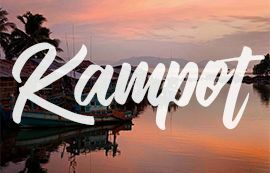 Located south of Cambodia, about two hours driving from Sihanoukville, the city of Kampot still remains the spirit of its French colonial era. Palaces, wide avenues and abandoned churches are hidden in a fog of mystery. Kampot is also famous for Bokor, the majestic mountain where, from the top, you have a breathtaking view of the entire city. Making a stop in Kampot means enjoying the tranquility and relaxation after a few days of intense visits. Al noroeste de Siem reap, a 140 Km en la provincia de Preah Vihear, Koh Ker es conocido como la pirámide de la civilización de Angkor gracias al famoso templo Prasat Thom que se ha escondido en las sombras de un espeso bosque durante más de mil años. 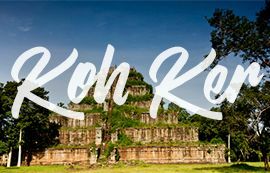 La antigua capital de Koh Ker sorprende por su belleza natural y la sencillez del lugar. 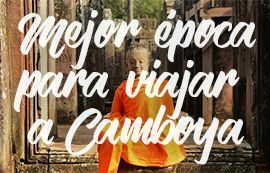 Y es que es uno de los lugares más remotos e inaccesibles de Camboya. Por esta razón arqueólogos centran sus estudios en este punto que, se cree, fue uno de los referentes de la época dorada del imperio Khmer. Yes, Cambodia also has paradisiacal beach destinations. 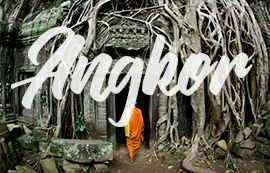 Everyone thinks of Angkor as the epicenter of Cambodia and there is no lack of reason in this argument. Even so, if you want to enjoy a few days of rest on some unpolluted beaches and away from mass tourism, let us help you choose some of the destinations that Cambodia has to offer. It is not necessary to go far to find impressive white sand beaches, palm trees and crystal clear waters. Here is our selection of the best beaches in Cambodia. Sihanoukville is city of the beach, port community and incipient holiday destination, which is the main seaside resort of Cambodia. 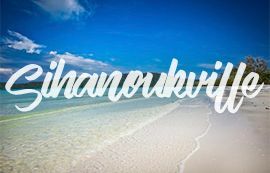 Strategically located in the warm waters of the Gulf of Thailand, Sihanoukville combines a relaxed and beachy atmosphere to transmit the authentic feeling of tropical getaway. Sihanoukville is an ideal place to enjoy the sun, the beach and the best seafood, scuba diving, parties on the beach and, above all, relaxing. Song Saa, in Khmer language means “lovers”. This spectacular private island is the dream for many travelers. Ideal option for couples who want to enjoy their sweet honeymoon. 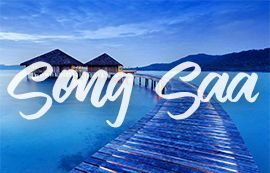 Song Saa combines the excellence of its service in an absolutely pure environment and feeling of luxury you could imagine to make your stay the most romantic experience ever. Song Saa, a paradise for the most demanding travelers! Known as “paradise”, Koh Rong really fascinates travelers who have known it. Beaches with white sand and turquoise sea, has nothing to envy to other well-known beach destinations. 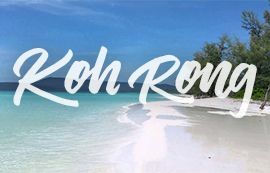 What’s more, the charm of Koh Rong is precisely that. The pure atmosphere is in every corner of the island. Finishing your trip in a few days in one of the most spectacular islands of Cambodia is perfect ending. 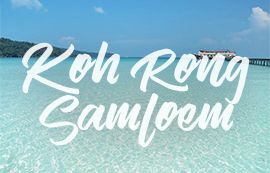 While Koh Rong is a more suitable destination for more active people because of activities, Koh Rong Samloem is for those travelers who seek tranquility and absolute calm. With distance of 4 km from Koh Rong Island, this beautiful island is much smaller and has a clearer beauty than its neighbors. Cambodians call it “the island of the lazy” in a humorous tone since, once you put your foot down, you will not think of anything else but to relax. A country with natural and cultural wealth like Cambodia would surprise tourists in terms of gastronomy. Abundant, colorful, attractive and, above all, is variety in gastronomy. The delicious Cambodian food diversifies enormously from north to south of the country. On your trip to Cambodia, do not forget to try the delicacies of its gastronomy. Cambodia is a country that would surprise you with its gastronomy. Like the culture and the religion, its cuisine was enormously influenced by neighbor countries Thailand, China or India; however Cambodia food still make a peculiar flavor. 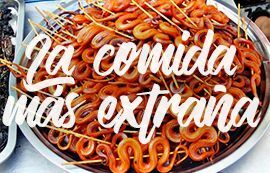 A spicy and spicy cuisine with unique characteristics that satisfy most gourmets. We do not want you to miss anything on your trip to Cambodia. That is why we have prepared a list of the essential dishes of Cambodian gastronomy. In Southeast Asia, Cambodia could not be less in its offer of “exotic” dishes. And what for any Westerner could be something brave enough to try, for Cambodians are incomparable gastronomic delights. 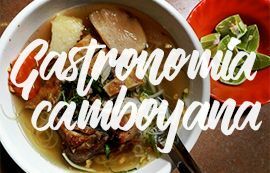 Explore with us the strangest dishes of Cambodian gastronomy. Although Cambodia is one of the least developed countries in Southeast Asia, the great influx of travelers has given the country the opportunity to develop a gastronomic offer which is suitable for Western’s taste. Prestigious restaurants have opened to show travelers that Cambodia has really outstanding dishes. 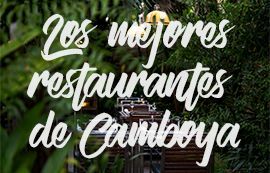 If you are coming to Cambodia, let us give you a list of the best restaurants. Like other countries in the area, there are details that should be taken into account before traveling to Cambodia. These details are important to know to avoid having last-minute dislikes. Let us give you some tips before traveling. Follow us and we’ll tell you everything! 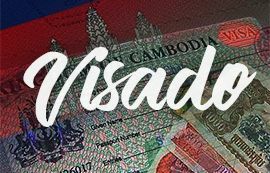 It is necessary to know a visa to travel to Cambodia. In any case, it is possible to do the procedure visa upon arrival at any of the immigration points of entry into the country. In order to apply the visa on arrival, it is necessary to have a valid passport with at least 6 months of validity and a passport photo. And visa fee at the same point of arrival is $30. Do not worry about this issue until the moment of arrival. Like neighboring countries, vaccination to travel to Cambodia is optional. 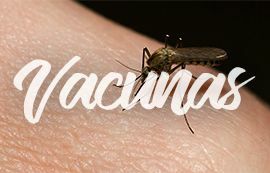 Some vaccines such as typhoid fever, hepatitis and tetanus are recommended for the travelers. Anyway, as always, we recommend consulting your nearest vaccination center and, above all, contracting full travel assistance insurance. The official currency in Cambodia is Riel (KHR). However, the US dollar (USD), without being official currency, is accepted and circulated regularly and is used daily to pay for any product or service. Taking into account that the exchange rate is variable, you can take as a reference 1 USD as 4000 KHR. As a tip, it is better to use the Riel (KHR) for economic services such as motorcycle taxi or street food and leave the payment in dollars for higher value services. Since May to October is rainy season so the heat and humidity are quite high at this time. However, the rainy season does not affect the normal rhythm of the trip since they are in short duration about 30 minutes. In addition, summer is low season for tourists, so the prices are more affordable than the rest of the year and it is possible to find very interesting promotions. We recommend not to consider much the time of the year since Cambodia can be enjoyed at any time. A full experience in Cambodia should include all possible means of transport. 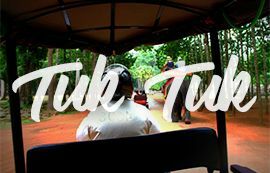 For long journeys, the airplane is the best option; on the other hand, for urban journeys, Tuk Tuk is an interesting experience that you should not miss. We present the most common means of transport in Cambodia. 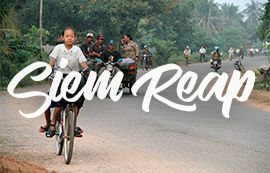 Get ready to try a new way to cross the cities in Cambodia. Cambodia has three main airports: Phnom Penh International Airport, Siem Reap and Sihanoukville; and The first is definitely the largest in the country. The rest are much more modest although very useful in case you want to take advantage of the travel days. 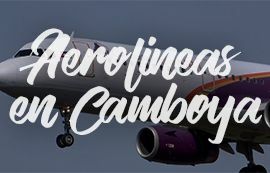 The Cambodia Angkor Air airline is the most reliable for both domestic flights and to enter the country, which shares some flight code with prestigious international airlines to make it easier to enter, combine with other international routines. Tuk tuk is the most common means of transport in Cambodia. Unlike Thailand, where it has established itself as a tourist icon, in Cambodia it is used by local people to get around. The tuk tuk is, without a doubt, the cheapest mode of transport in Cambodia and it is also an experience that, One More Destination recommend to try. Do not be shy and share your experience with drivers. They are lovely people who, surely, will bring you with smiles. In this case and without exceptions the most economical option for some areas, especially the Angkor complex. If you are going to decide on this option, make sure you are in good health condition. The distances are really long. Are you a lover of pedals? 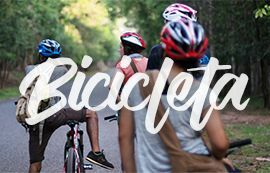 Check our bicycle routes in Cambodia. 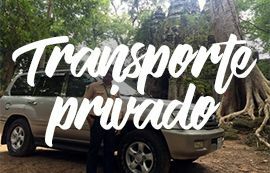 As always, private transfer is the safest and most comfortable option to get to know the country. Without depending on group’s schedules or waiting, you decide the time to dedicate each visit. Our driver will give you total freedom of movement in each of the stops. Discovering the kingdom of Angkor by private car is not only initiative but also affordable, guarantees that your visit meets expectations. With One More Destination’s arrangement, we are sure that your trip to Cambodia will be impressive with an unforgettable custom-made experience. 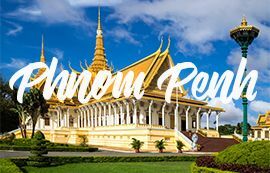 One More Destination want to give you the best advice to travel Cambodia, and that is why in this section we publish our latest articles so you do not miss details, news, good advice, destinations and much more. What awaits you in Thailand?